The “trial” of Jesus, which the Gospel Tradition preserves in two episodes—(1) an interrogation by the Sanhedrin and (2) and examination by the Roman governor (Pilate)—has been one of the most hotly debated aspects of the Passion narrative, primarily in terms of the historicity of the differing Gospel accounts. I will not be dealing extensively with all the historical-critical questions, but will address certain points related specifically to the Sanhedrin episode in a supplemental note. Even though many critical scholars feel that John preserves the most accurate historical detail and ordering of events, I will continue the method in this series of beginning with the Synoptic Tradition, represented primarily by the Gospel of Mark. The essential outline of the three denials, and the basic setting/location, are common to all four Gospels, indicating an extremely well-established and fixed tradition. The three-fold denial can be assumed (on objective grounds) to derive from a reliable historical tradition, since a single denial surely would have been sufficient in terms of its place and value in the narrative. The specific details with regard to how each denial took place—where and when it occurred, who was involved, etc—differ considerably between Mark/Matthew, Luke and John. Even between Mark and Matthew, otherwise so close at this point, there are key differences. This indicates that the precise details surrounding the denials were not nearly so well-established, and remained fluid in the way they were presented by each Gospel writer. For a convenient comparative chart showing the many differences in detail, see R. E. Brown, The Gospel According to John, Anchor Bible [AB] Vol. 29, 29A (1970), pp. 830-1. The rooster crow of the original tradition is also extremely evocative, indicating that Peter suddenly awakes to realize what he has done. The effect is emphasized by his sudden weeping (in remorse/regret); Matthew and Luke share a detail in common here, specifically stating that Peter went away (outside of the courtyard): “…and going outside he wept bitterly” (Matt 26:72; par Lk 22:62). The rooster crow, together with Peter’s reaction, is the climactic moment of the episode in Mark/Matthew. It joins Peter’s denial to betrayal of Jesus by Judas (vv. 47-53 + 54-62), just as the author does in the Last Supper scene. In the earlier episode this appears to have been done, in part, to emphasize the theme of true and false discipleship, by connecting the prediction of Judas’ betrayal (vv. 21-23) to the prediction of Peter’s denial (vv. 31-34) with a short block of teaching (vv. 24-30) between. In contrast to the accounts in Luke and John, Mark and Matthew portray the scene of Jesus before the Council in terms of a formal trial, with witnesses and the delivery of a sentence. This portrait informs the structure of the scene, with its three parts. If we accept this as an authentic saying by Jesus, occurring at the time of the Temple “cleansing” scene (located close to the Passion narrative in the Synoptics), then the report of the “false” witnesses could certainly reflect the memory of such a saying. The Gospel of John, of course, specifically interprets the saying in 2:19 as referring to the death and resurrection of Jesus himself (vv. 21-22)—an interpretation most appropriate in the context of the Passion narrative. For more on the Temple saying (and cleansing) traditions, cf. my earlier notes and article on the subject. For more on this saying, see my earlier notes and the article on the title “Son of Man” in the series “Yeshua the Anointed”. The Son of Man saying here is an allusion both to Daniel 7:13 and Psalm 110:1—Scripture passages which were enormously influential in shaping early Christian thought regarding the nature and identity of Jesus. As I have argued elsewhere, in the Son of Man sayings with an eschatological orientation, Jesus appears to identify himself specifically with the heavenly figure called “Son of Man” (from Daniel’s “one like a son of man”, 7:13)—who will appear at the end-time to deliver God’s people and oversee the Judgment on humankind. Early Christian tradition associated it specifically with the image of the exalted Jesus seated at the right hand of God (Acts 7:55-56, etc). For more on the differences in this scene, cf. below. The reaction to Jesus’ response—in particular, the identification of himself as the heavenly/divine “Son of Man”—results in the charge of blasphemy, i.e. that he has insulted (vb. blasfeme/w) God by claiming divine status and attributes. This is the basis for their decision that he is one who holds on him [i.e. against him] the (grounds for) death (e&noxo$ qana/tou e)stin). The mistreatment of Jesus is parallel to the more expanded tradition of his being mocked by the Roman guards (Mk 15:16-20 par), and would certainly be seen as a fulfillment of the Passion prediction in Mk 10:32-34 par. The question of whether Luke has the more correct historical order of events will be discussed in the supplemental note on the Trial episode. I mentioned the significance for the author of joining together the failure of the two disciples—Judas (the Betrayal, vv. 21-23, 47-53) and Peter (the Denial, vv. 31-34, 54-62)—to bring out the theme of true discipleship, found in vv. 25-30 and the double exhortation of the Lukan Prayer scene (vv. 40, 46). The unique detail of Jesus turning to look at Peter following the rooster crow (v. 61a) probably should be taken as parallel to the words of Jesus to Peter in vv. 31-32—a sign of care and concern. The connection also serves to enhance the dramatic moment when Peter realizes what he has done, and how it had been foreseen by Jesus (v. 61b). There is no reference to the witnesses or Temple-saying (cf. above), thus removing the sense that this is a formal trial. Luke presents the Council as a whole questioning Jesus, rather than the High Priest specifically (vv. 66b, 70a [“they all said…”]). The Council plays a similar collective role in Luke’s version of the Roman trial scene (23:13ff, 18ff). Historical considerations aside, this arrangement may be intended to make a theological (and Christological) point—namely, that Jesus is something more than the Anointed One (i.e. Messiah) as understood by the traditional figure-types of an expected end-time Prophet or Davidic ruler. The allusion to Psalm 110:1 reminds us of the interesting tradition, set in the general context of the Passion (the last days in Jerusalem), in which Jesus discusses the meaning and significance of this verse (Mk 12:35-37 par). For more on this, cf. my earlier series “Yeshua the Anointed” (esp. Part 8, and Part 12 on the title “Son of God”). The second Lukan answer seems to combine both the Markan and Matthean forms—truly an interesting example of variation and development within the Gospel tradition. There is no scene of Jesus before the Council, as in the Synoptics; rather we find different interrogation scene in the house of the chief priest Annas (formerly the High Priest A.D. 6-15). The introductory notice (18:13) states that Annas was the father-in-law of the current Chief Priest Caiaphas (A.D. 18-36). Verse 19 is ambiguous, but the reference in v. 24 indicates that Annas is the “Chief Priest” interrogating Jesus (cf. also Luke 3:2). Clearly John’s Gospel is drawing upon a separate line of tradition. The interrogation scene in vv. 19-24 is surprisingly undramatic, compared with the Synoptic version, but it fits the essential portrait of Jesus in the Johannine Passion narrative. As I discussed in the earlier note on Garden scene, the depiction of Jesus’ calm and commanding authority is set in contrast to Peter’s rash and violent act with the sword. The intercutting in verses 12-27, I believe, serves much the same purpose—to juxtapose Jesus’ calm and reasoned response to the interrogation (vv. 20-21) with Peter’s reaction to the ones interrogating him. His public teaching in the Synagogue and Temple, which reflects the great Discourses of chapters 6-8 and 10:22-39. Overall, however, the development would seem to be slight, compared with the dialogue scenes between Jesus and Pilate in 18:33-38; 19:9-11 (to be discussed). This common outline has convinced a number of scholars that ultimately we are dealing with multiple versions of the same historical tradition. It may be worth recalling that there were similar questions related to the Miraculous Feeding episode(s) (cf. the earlier notes), as well as the scene of Jesus at Nazareth (cf. also these notes). I begin this study with the episode as it is found in the Gospel of Mark. The idea clearly is that the religious authorities wish to arrest and deal with Jesus prior to the day of Passover itself. The costliness of the anointing—Christian ideals of poverty and humility (represented by the onlookers’ objection) required that some explanation of this “waste” be given. The answer comes in vv. 6-7, especially Jesus’ saying regarding the poor in v. 7. The connection with the death of Jesus—it is doubtless this aspect in vv. 8-9 which caused the episode to be set within the context of the Passion narrative. As we shall see, there is some indication that the original tradition/event may have originally occurred at an earlier point in the Gospel narrative. Those who object to the woman’s action are identified as Jesus’ disciples (v. 8). This is a significant development; John’s version is even more specific. In v. 10a there is the possible indication that Jesus is aware of the disciples’ thoughts/hearts (cf. 9:4, etc). Matthew’s version emphasizes the allusion to the process of embalming, prior to burial. Mk 14:7 / Matt 26:11—in the saying regarding the poor, Matthew’s version is shorter (an abridgment? ), but otherwise the wording is very close. Mk 14:9 / Matt 26:13—the authenticity of the closing statement regarding the woman would seem to be confirmed (on objective grounds), by: (a) the nearly identical wording, and (b) the formula “Amen, I say to you…” (a)mh\n le/gw u(mi=n), which is most distinctive and a sign of an early Jesus tradition. The solemnity of the saying was certainly influential in the preservation of the episode within the Gospel tradition. There is more variation (between Matthew and Mark) in the other two sayings, especially that in Mk 14:8 par which associates the woman’s action with Jesus’ burial. This fluidity would suggest that the saying was not as well established in the tradition. As indicated above, Matthew’s version enhances the association between the anointing and the (symbolic) embalming of Jesus after death. In the next daily note, I will examine the quite different Anointing scene recorded by Luke (7:36-50). There are six principal episodes, each of which will be discussed in turn, beginning with the Anointing Scene (Mark 14:3-9 par). It is generally felt by most scholars that the Passion Narrative was the first (and earliest) part of the Gospel Tradition to be given a distinct narrative shape. This can be glimpsed by the early Gospel preaching recorded in the book of Acts, as well as by the kerygmatic elements common throughout the New Testament (especially the Pauline Letters). The death and resurrection of Jesus formed the center of the Gospel message, so it is natural that those traditions would be the first to take shape as a simple narrative, to make the details easier to communicate and commit to memory. This also means that a number of these traditions are relatively fixed, and evince less development than in other portions of the Gospel. Details such as Judas’ betrayal or Peter’s denial of Jesus simply had to be included in any telling of the story. Even so, each Gospel writer handles the material in his own distinctive way, “ornamenting”, if you will, around the core traditions. Generally speaking, this order of study is chronological, reflecting ‘layers’ of development—but not strictly so by any means. Indeed, there is some evidence that the Gospel of John, usually thought of as the latest of the canonical Gospels (c. 90 A.D.? ), contains early/authentic historical traditions in a form that may be older than those of the Synoptics. Wherever possible, I will attempt to trace the manner of development in the Tradition, and how/why it may have taken place. The next daily note in this series will begin examination of the first episode of the Passion Narrative—the scene of Jesus’ Anointing. In such passages, it is hard to see the expression “son of man” as anything other than a kind of self-reference—i.e., a circumlocution for the pronoun “I”. Yet the original sense of identification with humankind should not be missed: Jesus, as a human being (on earth), gives himself (his own life) on behalf of other human beings. The three predictions by Jesus of his upcoming suffering and death are a central component of the Synoptic narrative, and are found in all three Gospels. They follow the conclusion of the “Galilean Period”, marked by Peter’s confession (Mk 8:27-30 par), and precede the journey to Jerusalem (covered by Mk 10), with the third prediction set as they approach Jerusalem. As such, they are transitional, leading into the Judean/Jerusalem period and the Passion narrative (Mk 11-15). Mark and Matthew essentially follow the same outline; however, Luke has expanded greatly the period of Jesus’ journey to Jerusalem, filling the span of 9:51–18:34 (nearly 9 full chapters) with much traditional material—sayings, teaching, parables, etc. I have discussed the three Passion predictions in considerable detail in an Easter season series last year. Just as we saw with the two Feeding Miracles (5000 and 4000), there is some question, among critical commentators, whether the three Passion predictions by Jesus reflect separate sayings (and historical traditions) or different versions of the same tradition. The general similarity of the sayings would tend to support the critical view that they derive from a single historical tradition. On the other hand, the three predictions are clearly distinct in the Synoptic narrative, providing the framework for the period prior to Jesus’ entry into Jerusalem (Mk 8:31; 9:31; 10:33). It seems likely that this structure was did not originate with the Gospel of Mark, but rather, already existed as an organizing principle for the narrative prior to its inclusion. In Luke, the periodic symmetry of this outline has been altered, due the enormous amount of material between the first two predictions (Lk 9:22, 43b-45) and the last (18:31-34). There are certain differences between the versions of these three sayings (cf. the earlier study cited above for comparisons); however, the use of the expression “Son of Man” is consistent throughout. The key phrase in the first saying (Mk 8:31 par) is “it is necessary for the Son of Man to suffer many (thing)s…” Matthew’s version of this saying is the only one which does not use “Son of Man”, being presented indirectly by the narrator: “Jesus began to show his disciples that it is necessary for him…to suffer many things” (Matt 16:21). This indicates that the Gospel writer clearly understood the expression “Son of Man” as a self-reference by Jesus. “The Son of Man is (being) [i.e. about to be] given along into the hands of men, and they will kill him off, and being killed off, after three days, he will stand up [i.e. rise] (again)”. Matthew’s version (17:22-23) is simpler, but generally follows the Markan version. Luke’s version is simpler still (9:44b), but is given a more detailed (and dramatic) narrative setting. This emphasis on Jesus’ suffering as a fulfillment of Scripture and the Prophets becomes an important Lukan theme in the remainder of the Gospel (and the book of Acts). Matthew (17:9) narrates this as a direct quotation by Jesus: “You should not say (anything) to anyone (about) this sight until the (time at) which the Son of Man should rise out of the dead”. Luke paraphrases the tradition (9:36b), making no reference to the “Son of Man”. The saying which follows in Mk 9:12 is tied to a separate tradition, involving the eschatological/Messianic figure of Elijah (who is to come), vv. 11-13. It is not certain whether this saying occurred at the same time as v. 9, or has been joined to it thematically. Certainly the Markan v. 10 joins them together in the narrative. The original context of vv. 11-13 is not easy to determine; but, from the standpoint of the wider Gospel Tradition, Jesus would be seen here as identifying John the Baptist with “Elijah”, and referencing John’s suffering (and death) as foreshadowing his own (cf. 1:14a; 6:14-29). This association is made more specific in Matthew’s version of the “Q” material in 11:2-15 (vv. 11-15). In 17:10-13, Matthew follows Mark, but again makes the identification between John and Elijah definite (v. 13). Luke omits the tradition entirely, perhaps because he has already associated John with Elijah elsewhere (Lk 1:17, 76-77; 7:27). The expression “Son of Man” is used by Jesus again (twice) on the night of his Passion. The first (Mk 14:21 par) is set in the context of a woe against the betrayer (Judas); the verb indicating betrayal, paradi/dwmi (“give along”), is also used in the Son of Man Passion prediction sayings (cf. above). The expression “Son of Man” occurs twice in verse 21, as if to emphasize the experience of his suffering (through the betrayal). Matthew (26:24) follows Mark closely, whereas Luke (22:22) has simplified the saying somewhat. This essentially quotes the second Passion prediction (9:31), substituting “sinful (men)” for “men”. Again, Matthew (26:45) follows Mark, while Luke omits the saying (cf. 22:46). Along with these Synoptic traditions, Matthew and Luke each include an additional Son of Man saying in the Passion narrative—Matthew’s occurs at the very beginning of the narrative, as a kind of thematic introduction (26:2), while Luke’s occurs in response to the kiss of Judas (22:22). Both of these sayings follow very much in accordance with the main Synoptic tradition summarized above. In the next daily note, I will be looking at a different kind of Son of Man saying by Jesus—those which refer to a divine/heavenly figure who will appear at the end-time Judgment. I will discuss the two Synoptic references (Mk 13:26; 14:62), along with a survey other Son of Man sayings in Matthew and Luke (the “Q” material, etc). Use of the term “the Anointed (One)”, as well as specific Messianic language/imagery, associated with the death and resurrection of Jesus in the Gospel tradition. The death and resurrection of Jesus in the earliest Christian tradition—i.e., in the sermon-speeches of Acts and the kerymatic elements of the Pauline letters, etc. Most of the other Synoptic occurrences of the expression “the Anointed (One)” are set in Jerusalem prior to the Passion (Mk 12:35; 13:21-22 par; Matt 24:5), or specifically in the context of Jesus’ trial and crucifixion (Mk 14:61; 15:32 par; Matt 26:68; 27:17, 22; Lk 23:2, 39). According to Luke 23:2, the Jewish authorities connect the title “Anointed (One)” directly with the idea of kingship, drawing upon the (Messianic) figure-type of the expected Davidic Ruler who will establish a future/end-time kingdom for Israel (cf. Parts 6, 7, 8). Whether or not the Roman administration recognized this association, any pretense of kingship on the part of Jesus would have prompted them to act. If we accept the historicity of this scenario, the Jewish delegation to Pilate was shrewd to tie Jesus’ claim (or apparent claim) to be “the Anointed One” (Mk 14:61-62 par) with the idea that he thus claimed to be a king. This is reflected, it would seem, in the use of “the Anointed One” in Matt 27:17, 22, as well as in the taunts directed at Jesus (Mk 15:32 par; Matt 26:68; Lk 23:39). Indeed, it is the only way to explain the written charge against Jesus, recorded in all four Gospels (in slightly different forms): “This is (Jesus [of Nazareth]) the King of the Jews”—the one common element being “King of the Jews”. There is virtually nothing else recorded of Jesus’ life and ministry to justify the idea that he claimed to be the “King of the Jews”. Only the ‘Triumphal Entry’ into Jerusalem, with its association with Zech 9:9ff and Psalm 118:25-26, could be taken as a Messianic (Royal) claim by Jesus, though it is the crowds (and/or the Gospel writer) who explicitly make such an identification. In the Gospel of John, the title “the Anointed (One)” is only associated obliquely with the death (and resurrection) of Jesus—cf. Jn 10:24; 11:27; 12:34 (note also 17:3), the most direct reference being in 12:34. We might also point out the concluding verse of the Gospel proper (Jn 20:31), which of course follows the death and resurrection. In Luke, we also find the title used (by Jesus) in two of the post-resurrection scenes—both in the context of Jesus explaining to his disciples that, according to the Scriptures, it was necessary for the Anointed One to suffer, die and rise again from the dead (Lk 24:26, 46). These passages are precisely parallel to the Passion predictions (Lk 9:22, 44-45; 18:31-34, cf. also 24:7) and clearly connect “the Anointed One” with “the Son of Man”. The interpretation and application of Malachi 3:1 to Jesus. Cf. Part 3 and the supplemental note on Mal 3:1ff. The Triumphal entry scene, with its use of Zechariah 9:9ff and Psalm 118:25-26, and the various references to “David”, “King” or “Kingdom” in the exclamation of the crowd. The use of the title “Son of David” and various motifs associated with David in the Passion narrative (cf. Part 8). The specific use of the expression “Son of Man” by Jesus in relation to his Passion and Resurrection/Exaltation (cf. Part 10 and the supplemental note on the Son of Man sayings). See also the note on the Son of Man sayings in the Gospel of John. Use of the title “the Anointed (One)” in early Christian tradition is complicated by the fact that, within a generation after Jesus’ death and resurrection (20-30 years at the latest), it had become completely assimilated into Jesus’ own name—”Yeshua (the) Anointed (One)”, i.e. “Jesus Christ”. This itself tells us something about how the earliest believers understood it—they so completely identified Jesus with “the Anointed (One)” that it soon became part of his name. Here I will focus primarily on two areas: (1) the early Gospel preaching (kerygma) as recorded in the sermon-speeches of the book of Acts, and (2) kerygmatic elements in the letters of Paul and other New Testament writings. The passages where “the Anointed (One)” still functions as a distinct title referring to a Messianic figure are—Acts 2:31, 36; 3:18, 20; 5:42; 8:5; 9:22; 17:3; 18:5, 28; (24:24); 26:23. Overall there is a strong apologetic context to these references, where mention is made repeatedly of the early believers arguing and demonstrating (to other Jews) that Jesus was in fact the “Anointed One” (i.e. the Messiah). Probably the figure-type of the Davidic Ruler is in mind throughout (cf. 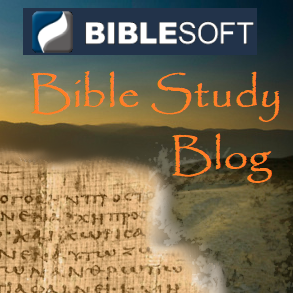 Parts 6–8), which is why it was so important for the early Christians to argue that there was a Scriptural basis for the Messiah suffering and being put to death. There is virtually no evidence for any such expectation regarding the Messiah in Judaism of the period, as virtually all commentators now admit; the very idea must have been shocking to Jews at the time (see Peter’s reaction [and Jesus’ response] in Mark 8:32f par). The theme of Jesus’ Passion being prefigured and predicted in the Scriptures was introduced and emphasized specifically in the Lukan Gospel (Lk 18:31ff; 22:37; 24:27, 32, 45-46) and continues throughout the book of Acts (1:16; 8:32ff; 17:2, 11; 18:28). It is doubtless central to the demonstration of Jesus as the Anointed One in Acts 5:42; 9:22; 18:5, 28, etc. The speech concludes with the declaration that “God made him both Lord [ku/rio$] and (the) Anointed [xristo/$], this Jesus whom you put to the stake!” (v. 36). The idea that God made Jesus to be Lord and Christ is striking, and somewhat problematic from the standpoint of orthodox Christology, but it fairly and accurately reflects the earliest Christian belief about Jesus, in which his identity as “the Anointed One” is the result of his resurrection and exaltation to the right hand of God (cf. Acts 5:31; 7:55-56; Rom 8:34; Col 3:1; Heb 1:3, etc). Acts 3:12-26, another sermon-speech by Peter. The core of the speech again includes a Gospel summary (vv. 13-15), emphasizing Jesus’ death and resurrection, this time in the context of the power of Jesus’ name to work miracles (vv. 12-13, 16). In vv. 18-21, Peter also summarizes two aspects of Jesus as “the Anointed One”—(1) his suffering and death, foretold by the Prophets (v. 18, cf. Luke 18:31; 24:7, 26, 46), and (2) his exaltation to heaven (v. 21). To this is added the idea of Jesus’ (future) coming, as “the Anointed One” (v. 20). Acts 4:24-30, a prayer by the early Christians, which more or less follows the same basic pattern as the other sermon-speeches in Acts. Psalm 2:1-2 is cited (vv. 25-26) and applied to death of Jesus (vv. 27-28) and the resultant community of believers following his resurrection (vv. 29-30). Jesus is thus identified as the “Anointed One” of Psalm 2, specifically in the context of his death (and resurrection). As previously discussed, the second Psalm was enormously influential in shaping Messianic thought and belief in Judaism and early Christianity. It probably influenced the shape of the Passion narrative as well (cf. especially Luke’s version, which brings together the Sanhedrin, Herod and Pilate). Acts 10:34-42, another sermon-speech by Peter, part of the Cornelius narrative in chapters 10-11. Here Jesus’ anointing is placed at the beginning of his ministry (v. 38), presumably at the Baptism (v. 37, cf. Lk 3:22 and the variant reading which cites Psalm 2:7), and is associated with his working miracles. In a similar manner, the early believers were “anointed” by God and empowered to work miracles. This reference is part of a Gospel summary emphasizing Jesus’ death and resurrection (vv. 39-40). The idea of Jesus being born from the line of David—As we have seen, this is basic to the early Christian understanding of Jesus as the Anointed One (Messiah), according to the figure-type of the Davidic Ruler who was expected to appear at the end-time (cf. Parts 6, 7, 8). Paul almost never refers to this in the letters (nor mentions David), but it was important in the early Gospel tradition, and the association with David was central to early Christian preaching (as recorded in the sermon-speeches of Acts, cf. above). The only similar reference in the Pauline corpus is 2 Tim 2:8, almost certainly another early creedal formula. That Jesus was appointed/designated the Messiah (and Lord)—Paul never uses this verb (o(ri/zw, “mark out, set bounds, limit”. i.e. appoint, designate, determine), but it is part of the early Gospel tradition (in Luke-Acts) related to the identity of Jesus (as Messiah/Lord), and specifically to his death and resurrection, etc (Luke 22:22; Acts 2:23; 10:42; 17:31). Nor does Paul make much reference to Jesus’ status as the Anointed One (or as Lord) being the result of the resurrection and exaltation to heaven, but, again, this was central to the earliest Christian preaching (cf. above). 1 Corinthians 15:3-5—this simple summary reflects the basic early kergymatic formulations attested in Luke-Acts (cf. Lk 24:7, 26, 46; Acts 1:2-4; 2:22-24, 32; 3:18; 4:25-28; 5:30-32; 10:38-41). Philippians 2:6-11—here Paul is probably quoting or drawing upon an early hymn, which contains certain language and ideas not found in his letters. While this passage does not have a specific Messianic emphasis, it shares with Rom 1:3-4 the idea that Jesus’ position as Lord is the result of his exaltation (following his sacrificial death) to heaven by God. It also contains a more developed sense of Jesus’ deity, including a belief in his pre-existence (vv. 6-7). For a similar hymnic passage, cf. Col 1:15-20. The image of the exalted Jesus at the right hand of God—1 Peter 3:22; Hebrews 1:3; 8:1; 10:12; 12:2. As indicated previously, this image was certainly influenced by the Davidic Psalm 110:1 (Heb 1:13). Occasionally the basic idea of Jesus as King is expressed in terms similar to the Messianic thought and imagery of the period; not surprisingly, this is perhaps best glimpsed in the (apocalyptic) Book of Revelation—cf. Rev 1:5; 11:15; 12:10; 17:14; 19:19, etc. Throughout the second half of the 1st-century A.D., the idea of Jesus as “the Anointed One” was transformed by a combination of Messianic images and figure-types, applied in the context of more distinctive and developed belief in the exalted status and Person of Jesus. As mentioned in previous articles, Hebrews combines two strands of tradition related to Jesus’ identity as the “Anointed (One)”—(a) as a result of his exaltation to heaven, and (b) his pre-existent deity. This is expressed already in the introduction (Heb 1:1-4) and in a number of passages throughout the letter, most notably in Heb 1:5-13 which is bracketed by citations of the well-established Messianic Psalm texts Ps 2:7; 110:1 (cf. also in Heb 5:5-6). With regard to Jesus’ death and resurrection, the author has greatly expanded the idea of Jesus’ death as a sacrificial offering (cf. 1 Cor 5:7; 1 Pet 1:19-20; John 1:29, etc), applying to Jesus—more clearly and directly than anywhere else in the New Testament—the figure of High Priest who administers the sacrifice for sin (on the Day of Atonement, etc). Central to this illustration is the figure of the Priest-King Melchizedek (Gen 14:18ff; Psalm 110:4), around whom quasi-Messianic tradition and interpretation had developed by the 1st-century A.D. For a detailed discussion, see Part 9 and the supplemental study on Hebrews. In the context of Johannine theology and Christology, the identification of Jesus as the Anointed One involves several elements: (1) that Jesus is the Son (of God) and has come from the Father (1 Jn 2:23-24), (2) that he came in human flesh (1 Jn 4:2), and (3) that he came “through water and blood” (1 Jn 5:6ff), that is, sacrificially, to give himself as life for all who believe. This last point relates specifically to his death, and the (eternal) life which it brings. Along with this, we might especially mention those passages which refer to the establishment of a kingdom based the sacrificial death of Jesus—Rev 1:5-6; 5:6-14; 7:9-17; 12:10-11. This is the last in the series of daily notes for Easter Season, during which we have explored the Son of Man sayings of Jesus in the Gospels of Luke and John. Today’s note is on Acts 7:55-56—the last Son of Man verse in Luke-Acts, and one of only four occurrences of the expression “Son of Man” outside of the Gospels (the others being Heb 2:6 [quoting Ps 8:4ff] and Rev 1:13; 14:14 [referring to Dan 7:13]). Most of the Son of Man sayings in Luke relate either to: (1) Jesus’ suffering and death, or (2) his exaltation to Glory (and future return in Judgment). As I have previously discussed, the use of “son of man” in the first instance would seem to identify Jesus specifically with humankind in its mortality (weakness, suffering and death); in the second, he identifies himself as the Divine/Heavenly figure (of Daniel 7:13ff) who will appear at the end-time Judgment by God. These two aspects of the expression “Son of Man” are present during the night of Jesus’ arrest and “trial” before the Sanhedrin (Lk 22:22, 48 and Lk 22:69), and also in the Angelic announcement of Lk 24:7 where the predictions of Jesus’ Passion (Lk 9:22, 44-45; 18:31-33) are connected with the Resurrection. —Jesus likewise, at the beginning of his ministry (Lk 4:1), was said to be “full of the Holy Spirit”; cf. also Lk 4:14 and Lk 1:15, 17; 2:40. The preceding narrative in verse 55 adds the following details: (1) he saw the glory of God, and (2) Jesus is specifically identified as the Son of Man (“Jesus standing at the right hand of God”). The early chapters of Acts (chs. 1-7) are still connected in many ways with the Gospel narrative, so it is fitting perhaps that they close with this vision by Stephen of the Son of Man, a fulfillment of the sayings by Jesus such as that in Luke 22:69. His vision confirms the reality of Jesus’ exaltation to heaven (at the right hand of God) and of his identity as the divine/heavenly Son of Man. Christ’s presence in heaven at God’s right hand was a common motif in early Christian tradition (Acts 2:25, 33ff; 5:31; Rom 8:34; Col 3:1; Eph 1:20; 1 Pet 3:22; Heb 1:3, etc), largely influenced by Psalm 110:1 (Acts 2:34; Heb 1:13). The remainder of the book (chapters 8-28), on the other hand, narrates the spread of Christianity outside of Judea, out into the wider Greco-Roman world, and thus focuses more precisely on the message (the Gospel) of Jesus, and how people respond to it. If Stephen saw a vision of heaven “opened”, that is, the revelation of God in the person of Jesus, so also do believers have their hearts and minds “opened” to the truth, and, in turn, proclaim the message of Christ to others, “opening” and explaining the Scriptures. In today’s note for the third day of Easter (Easter Tuesday), I continue the study of the Son of Man saying in John 1:51, begun yesterday (for more on the Son of Man sayings in John, cf. the earlier note). Here I will be looking more specifically at the meaning of the saying in the context of the Gospel narrative. Chapters 2-12, sometimes referred to as the “Book of Signs”, in which the narrative alternates between accounts of miracles and teaching (discourses) by Jesus—the miracle (sign) often serving as the basis and starting point for the discourse which follows (cf. especially in chapters 5, 6, and 9). All but the first and last of the Son of Man sayings are found in these chapters. Chapters 13-20, which narrate the Passion (and Resurrection) of Jesus—chapter 13 (a Last Supper scene similar to that in the Synoptic tradition) leads into the great Discourses in 13:31-16:33, concluding with the remarkable Prayer-Discourse of chapter 17. The last Son of Man saying in John (13:31) opens the Discourses which are set at the beginning of the last major section of the Gospel (chs 13-20). It seems likely that the first Son of Man saying (1:51) is meant to have a similar transitional role in the structure of the Gospel narrative. They are part of the Discourses of Jesus in these chapters, marked by a unique style of teaching—a statement or action by Jesus is misunderstood by the audience, leading to a pointed question, and the subsequent response (and exposition) by Jesus, answering the question at a deeper level of meaning. This process of redirection and reformulation always involves Jesus’ identity—his Person and Teaching—as the Son in relation to God the Father. Where they occur, the Son of Man sayings (esp. 3:13-14; 6:27, 53, 62; 8:28; 12:23, 32, 34) are central and climactic to the Discourse. They point toward the death and exaltation (resurrection, return to the Father) of Jesus described in chapters 13-20. Indeed, the principal sayings all have a dual-meaning, centered on Jesus’ death/resurrection. The sayings which refer to the Son of Man being “lifted high” (Jn 3:14; 8:28; 12:32, 34) or being “glorified” (Jn 12:23; also 13:31) have both aspects in mind. According to this outline, the last Son of Man saying (Jn 13:31) reflects the central, inner dynamic of the Father-Son relationship and identity, governed by the verb doca/zw (“give honor/esteem/glory”, i.e. “glorify”). If this is correct, then it is not unreasonable to assume that the first of the Son of Man sayings (Jn 1:51) is parallel to this in some way, and may reflect the outer dynamic—the ascent/descent. Again, this would seem to be correct considering the use of the verbs katabai/nw and a)nabai/nw in 1:51. However, in that first saying, it is not the Son of Man descending/ascending, but rather of Angels (“Messengers of God”) ascending/descending on the Son of Man. The clear parallels with the Baptism (cf. the previous note), which marks the beginning of Jesus’ earthly ministry (descent/incarnation); the location of Jn 1:51 also strongly suggests an allusion to the Baptism. Similar parallels with the Resurrection (ascension), which effectively marks the end of Jesus’ earthly existence. Similarities to descriptions of the Son of Man coming in glory at the end-time (esp. in the Synoptic tradition); however, the Gospel of John understands the Son to have had this position and glory prior to his incarnation/birth as a human being (i.e. divine pre-existence). This means, in the Johannine context, that such images cannot refer only to Jesus’ exaltation and future return, but to a reality that encompasses and transcends the entire process of descent/ascent (cf. above). Each of the confessions also includes a response by Jesus (Jn 1:50-51; 20:29) related to disciples/believers seeing him. “because I said to you that I saw [ei@don] you… you trust? “because you have seen [e(w/raka$] me you trust? In both Jn 1:51 and 20:29, the eventual seeing by the believer is contrasted with the disciple believing on the basis of an extraordinary or miraculous experience. Even the concrete evidence for Jesus’ resurrection (in the case of Thomas) should not be relied upon as the basis for faith and trust in Christ, but rather the word that bears witness to him and the Spirit that draws us to him.